Welcome to the new “Skin Care First” blog series, the foundation for makeup, is actually not your foundation. It’s your skin, you have to take care of your skin or else your makeup isn’t going to go on right, and it’s not going to bring its a-game to your face. 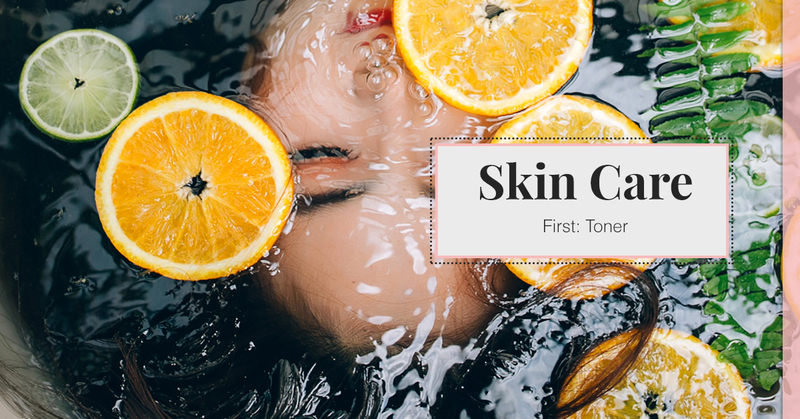 There’s a reason why everyone you talk to about your skin is going to mention toner first; it’s the building block to a good skin regimen which promotes good health all around. However, because of this product just being mentioned, it’s not often explained why it’s such a vital component of your regimen. If you started using toner when you were a acne-ridden teen in the 90s, then you probably don’t have a lot of respect for this product. It’ll be helpful to know that dermatologists and estheticians today don’t even acknowledge the product’s dark origins. So do not worry, we’re not preaching that you should be slathering greasy “toner” all over your cheeks at night. Currently, there are plenty of different types of toner out there to help treat so many different types of skin issues, not just acne prone and oily skin. We actually have Korea to thank for our skin care innovations, such as the dynamic toners now on the market. It all started with the concept of hydration being the secret to a well-rounded skin composition, and astringent drying toners aren’t very popular in Korea because of that concept. The theory behind toner is that it both looks and acts like water, however, it is not H2O. Toners can contain acids, glycerin, antioxidants and anti-inflammatories. It’s essentially a liquid that infiltrates your skin quickly and delivers a punch of hydration while removing dead skin cells off the surface. This process, with a host of other factors, will produce radiant, healthy skin. Your toner should be finishing off the cleansing portion of your routine. It should be removing dust, impurities, and even pollution residue. These can still linger after washing with a cleanser, even if it’s a really decent cleanser. Your toner will oftentimes have specific “active ingredients,” derivative materials from the above contents. These often appear as plant extracts and essential oils that are aimed at addressing whatever the label says the toner will assist with. These varieties will often appear as pH balancing, cleansing, astringent, calming, hydrating, and soothing. They’ll often be a guide on which one to buy for your skin type; for example, a pH balancing can be used for ageing. Most toners will offer some kind of pH balancing properties, skin has a naturally acidic pH of 5, which fluctuates up when ageing. This can be used to control oils if you live in an extreme climate that leans on either the very dry or very moist side. Toner is prep for your pores. It restores your pH level, disposes of the impurities, and helps your skin absorb the rest of the products you’ll use on it. Look for a couple of major ingredients. Mainly rosewater, which is the claim to fame Mario Badescu uses for their best selling toner. It’s very hydrating and will help provide that sought after glow. If you’re looking to soothe your skin, search the label for chamomile, and alcohol if you’re looking to temper the oils in your skin. Those will be anti-bacterial which will decrease the opportunity for acne to form. Be sure to avoid alcohol-based, or astringent, toners if you have dryer skin. It won’t be doing you any favors. It’s best to use toner with your daily and nightly routine. Just do a spritz after cleansing the skin to prepare your pores for the day, and for sleep. Try to use your toner almost immediately after cleansing; wet skin will accept it much easier and allow it to perform its great affects. This is one of the few things from Kate Somerville that’s actually affordable. It’s only $26 on Amazon, and all of her skin care is incredible. It’s alcohol-free, oil-free, and fragrance-free and it’s magic like everything else she produces. The best part? It’s $7 and it’s at Ulta. It’s basically a major essential for any skin type. It’s legendary, and not a large investment to test it out. You’ll want to check for exfoliants, so check the labels for lactic acids. Try and avoid alcohols, at least make sure it’s not one of the top five ingredients. Kiehl’s has an excellent facial toner that’s very mild. It also only rings in at $8, and who doesn’t love Kiehl’s? Don’t miss our next entry in our “Skin Care First” series: The Necessity Of Exfoliants. We’ll be covering the science of exfoliants you can buy and the professional services you can buy, such as microderms and chemical peels. See you next time! 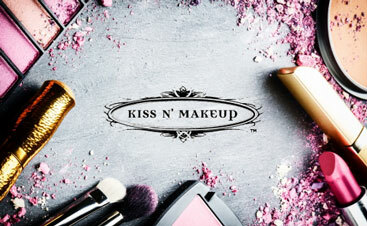 The makeup artists at Kiss N’ Makeup are happy to help you find the look and regimen that will best fit you. Questions about skin care, makeup trends, eyebrow shaping, or bridal makeovers? Feel free to contact us, we’re excited to work with you.